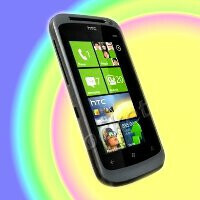 HTC Bresson is going to be a WP7 device wielding a 16-megapixel shooter for T-Mobile? Granted that it’s definitely not hard to come by Windows Phone 7 smartphones for T-Mobile, especially when you have big names like the HTC HD7 and Dell Venue Pro on board, but we’re beginning to wonder when we’ll see newer devices for the carrier. Certainly, it’s well overdue at this point, but it seems like we’ll be seeing one monster of a camera phone sporting Windows Phone7 down the road for Big Magenta. More recently, T-Mobile’s roadmap for the rest of the year has been leaked, but interestingly enough, we didn’t see anything in regards to a WP7 device. Thankfully though, there is most definitely a new handset coming down the road, which is going by the name of the HTC Bresson. Although the rendered image of the device is nothing more than a placeholder at this point, we’re hearing that it’s going to be wielding a monstrous 16-megapixel camera with dual-LED flash. Literally defying most other things out there right now on the market, there’s no arguing that it’s going to be making photography its focal point – especially when its codename closely has ties to the famous French photographer. However, the handset isn’t expected to come around until sometime “beyond” the September 2011 period, which naturally would place it in line to release with the Mango update on board. Still, we’re curious to see how this one will shape up over the coming months because the current crop of WP7 smartphones on the market are beginning to show their age. Placeholder image of the HTC Bresson. hubbida hubbida.. if that camera is anything less than beyond amazing its a fail. If/when Tmo goes out.. it is at least going out with a bang with its lineup. Htc getting their camera phone in early incase t-mobile pick up a nokia windows phone with the n8 camera module, or a better one. Numbers mean nothing. The results of the camera will tell all, and judging by the fact that HTC could put dual LED on this instead of xenon, and the fact that it is from HTC should mean that results aren't going to be anything spectacular. Rule #1 HTC, you don't put LED on a phone that you're going to tout as an imaging device. If you want to beat the N8, you're going to need a better flash for starters. 16 m.p. camera ooo nice but this phone better have external memory because nice pictures taken by 16 mp cameras take up alot of memory.